As I've said before, my blog has brought some amazing opportunities for me. 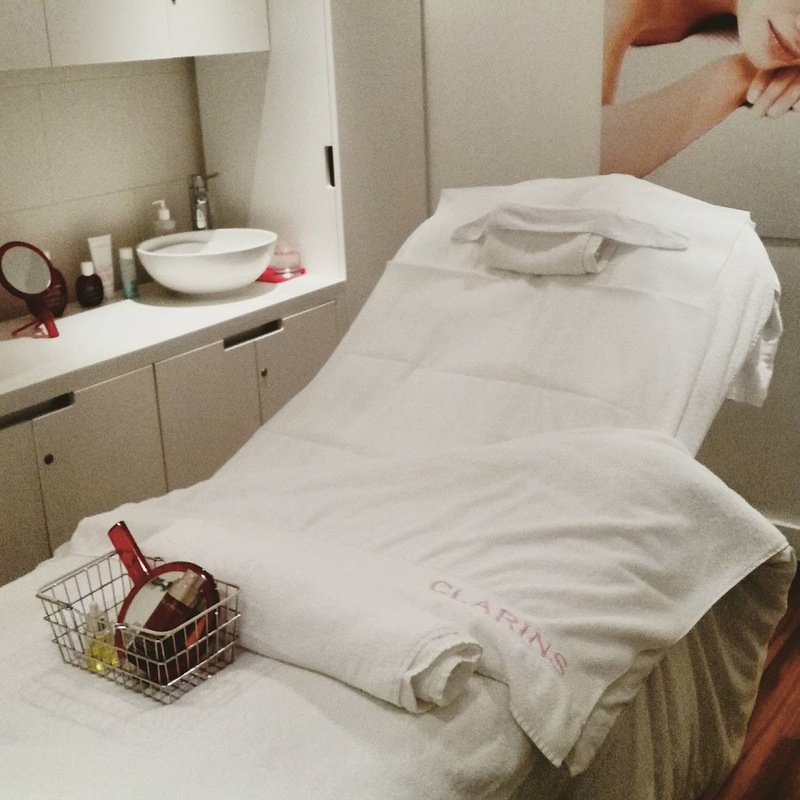 My most recent one was being treated to a facial at Clarins in the Trafford Centre's Selfridges store. Yes, they have a treatment room there! 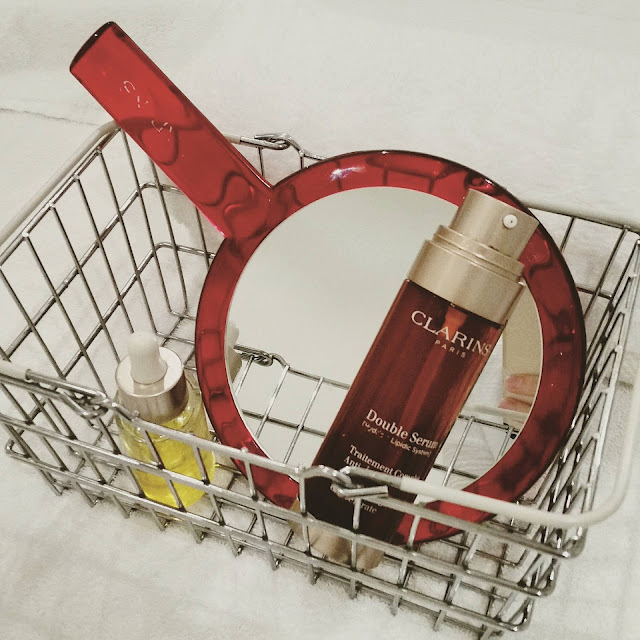 You would never know by looking, but the Clarins counter hides an iddillic haven away from all the hustle and bustle of the beauty floor. As soon as I stepped through the glass door I felt calm. I presume they have sound proofing as it's so quiet and peaceful and you feel a million miles away from the hectic shoppers. After a quick consultation, where I discussed my skin care routine, my problem areas and what I felt I was needing, I was advised to have a Tri - Active facial which is an incredible customised facial, with a concentrated 25minute anti ageing treatment and massage. Even though I am 27, I am starting to see some fine lines around my mouth and eyes, so I was looking forward to seeing a difference. I went for the 'Radiance Reviver' which starts at £70 for 1hr 25mins or £85 for 1hr 45mins. Before the facial started I was given a tissue with some essential oil on, and I had to take a few long, deep breaths to help me get in the zone. This worked wonders, although to be honest I had already felt "in the zone" since I had stepped into the treatment room! My beauty therapist was lovely, and we chatted away though most of it, which I loved. I enjoy talking during a facial, and have found it a bit awkward if the therapist doesn't talk (although I know for some that's better). She recommended a number of products throughout the treatment, and explained every treatment and product she was using which was great, as I was obsessed with an oil she used, and that's definitely on my list for pay day! After a blissful 1hr and 25mins I was nearly asleep. 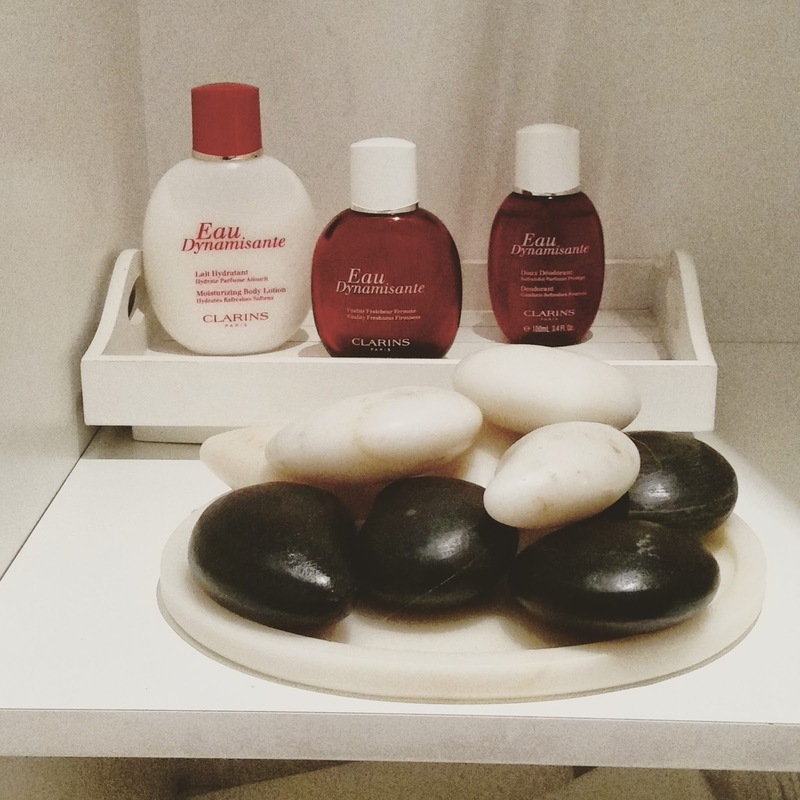 I felt well and truly zoned out and my face was tingling with the beautiful products. My skin was glowing, and my therapist explained that all of the Tri - Active facials are equivalent to having an 8 hour sleep for your skin. My fave product had to be the HydraQuench serum which felt like water going on, but then felt amazing when you started to rub it around the face. It's perfect for dehydrated and dull looking skin which I definitely had! After the facial I had a quick look at the new products, where my therapist talked me through what would help with my skin. I was recommended one of the new boosters which are a concentrated oil that you can add to your own moisturiser/serum or even your foundation. As the name suggests they give your skin a 'boost'. There are 3 in the collection; Detox, Repair and the one I went for, Energy. I've been using the serum for over 2 weeks now, by adding it to my moisturiser at night, and I have to say, the results are incredible! 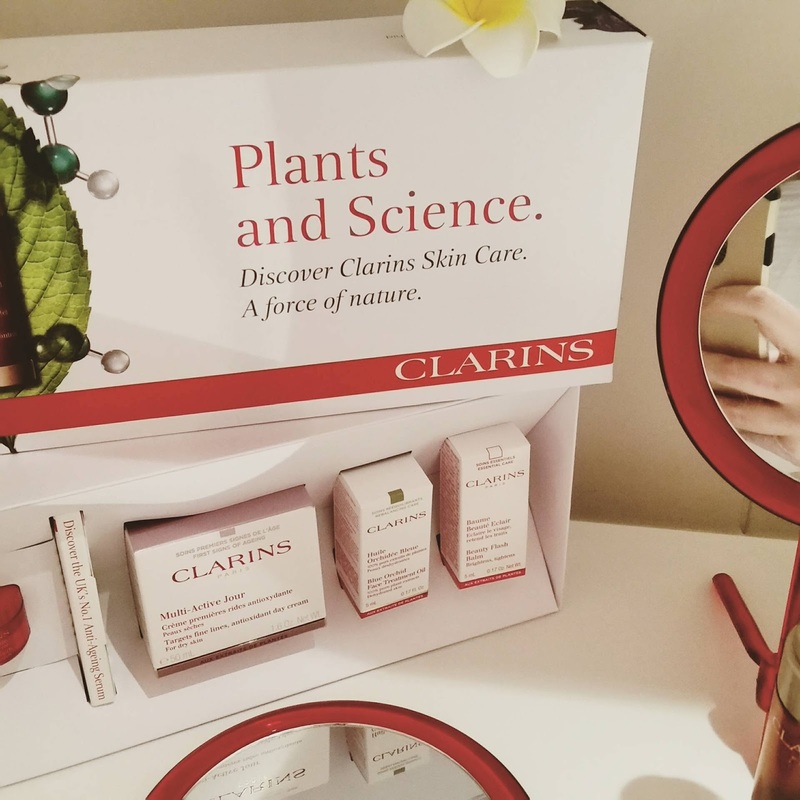 I'm already a massive Clarins fan, but I like to think you can trust what I write on here - It's amazing. I have colour in my cheeks again, and it looks and feels a lot smoother. I just want to thank all the girl at the Clarins counter in the Trafford Centre's Selfridges, it was a fantastic experience and I thoroughly enjoyed it. You can find a list of all the available treatments here. No that isn't a question mark - that's just the cute logo of Size? the one stop shop for all of your footwear needs (they also have a great collection of sportswear too!). 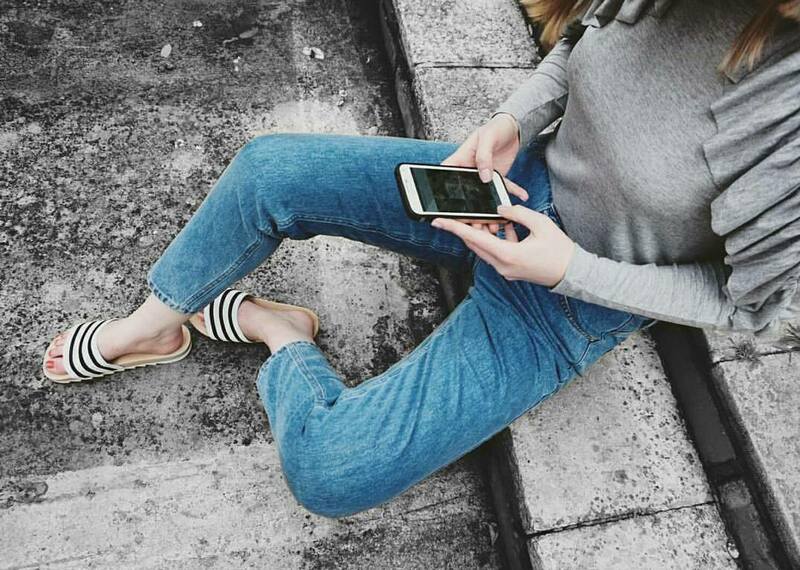 I was very lucky and got the chance to choose some shoes off the site, which was not easy let me tell you! They have so much choice, and with the whole trainer/sneaker thing still on the fashion radar, I was spoilt for choice! Their collection includes some amazing brands such as Adidas and Nike, but also loads more fab brands that you may not have heard of. Although predominantly sports wear, anyone having a love affair with all things sports luxe, should definitely take a look! In the end I decided not to go for my usual trainers, although staying away from Adidas Stan Smiths was difficult...I opted for the new 'must have' summer shoe; the slider. 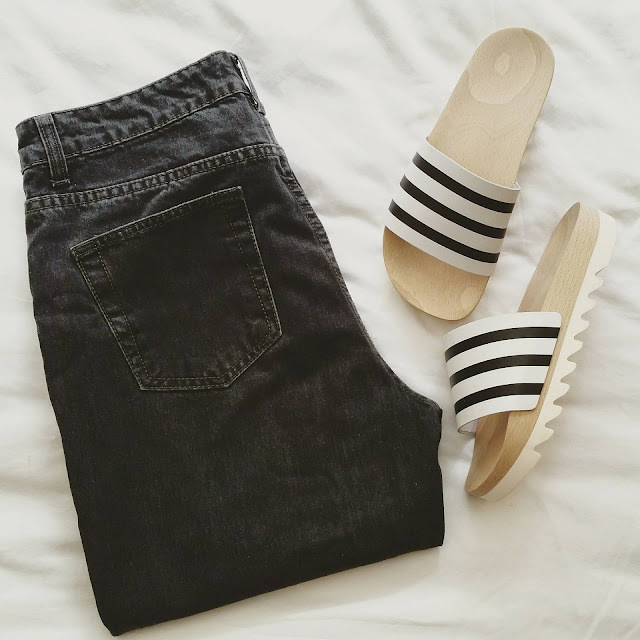 Now if you're a street style lover, no doubt you'll have seen that the Adidas striped sliders have been everywhere lately. Teamed with summer dresses, bikinis or like me with jeans and a tee - they are not only comfortable, but fashionable. They had a range of amazing versions, including the original striped plastic pair, some incredible animal print ones and my amazing wooden platforms. I've literally worn these every day over these past warm weeks. 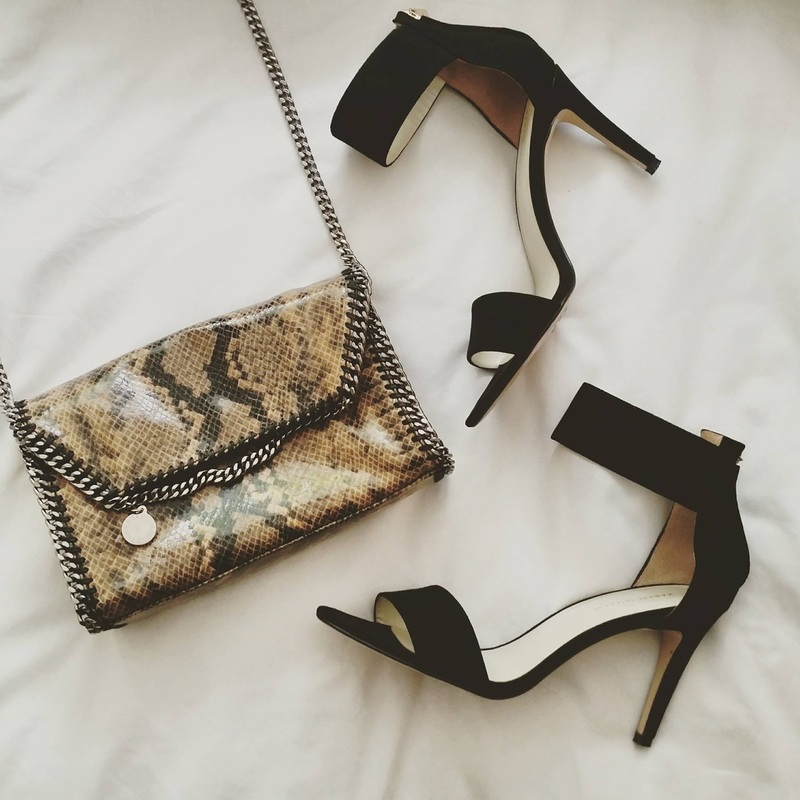 They instantly update your look and they're just so easy to wear! 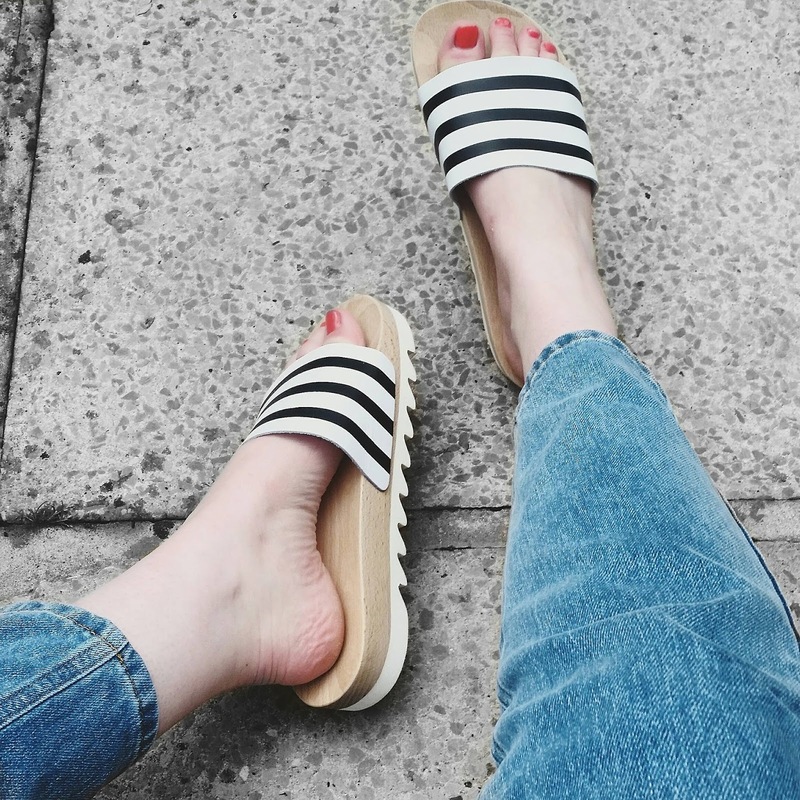 Mine actually sold out, but I've linked you to the slider page so you can take a look for yourself and get some perfect summer style! 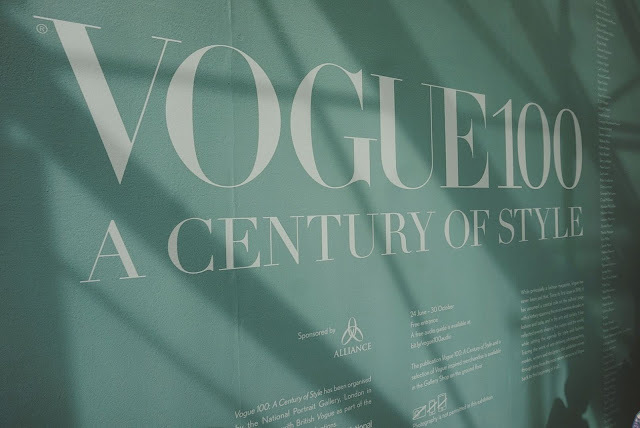 A few weeks ago, I was invited to the opening of the Vogue 100 exhibition at the Manchester Art Gallery. Initially I just read that, and was already incredibly exited as I had missed it when I had been in London. However; I then read further down the page - it would be opened by none other that the Editor of British Vogue herself; Alex Shulman. OH MY GOD!!! I had a mini breakdown at the thought, I mean what would I wear!? I'm a regular visitor to the Manchester Art Gallery. I've studied art and design all of my life, and there's nothing I love more than wandering round the gallery on a Saturday afternoon. They've had some amazing exhibitions over the years, but this is one of my absolute favourites! 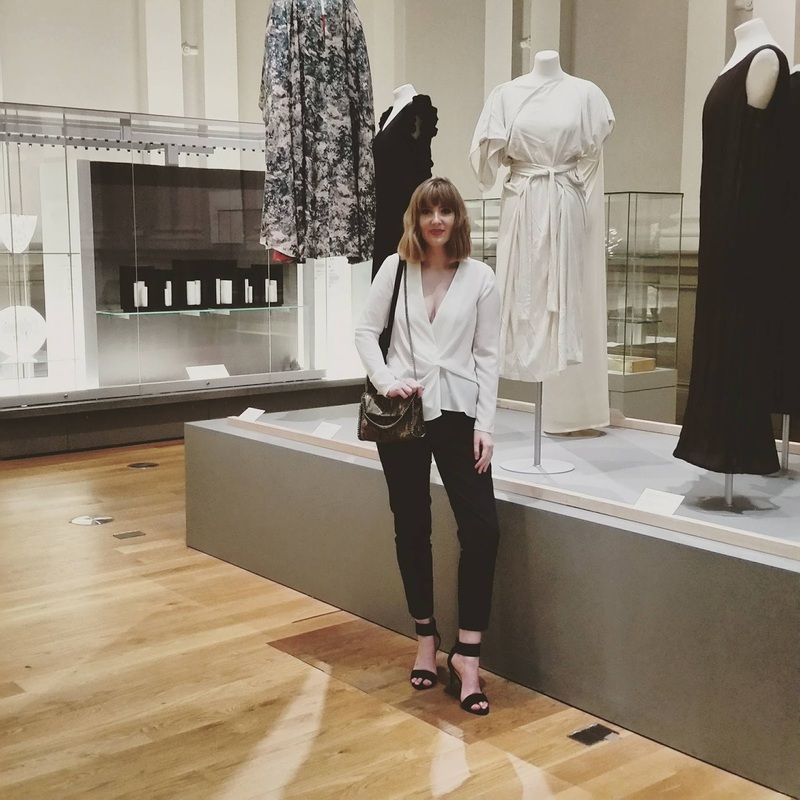 I decided to take Mus (Instagram/real husband) as he also loves the gallery and to be honest it probably one of the only blogger events that doesn't involve make up/clothes/catching up (although I suppose it did...). Anyway, we put our glad rags on (Okay wait that sounds so simple; In reality I was trying to plan my outfit for 2 whole weeks, starting with the flamboyant, super 'on trend end' of the wardrobe, and ending up in the 'classic' stylish bits. 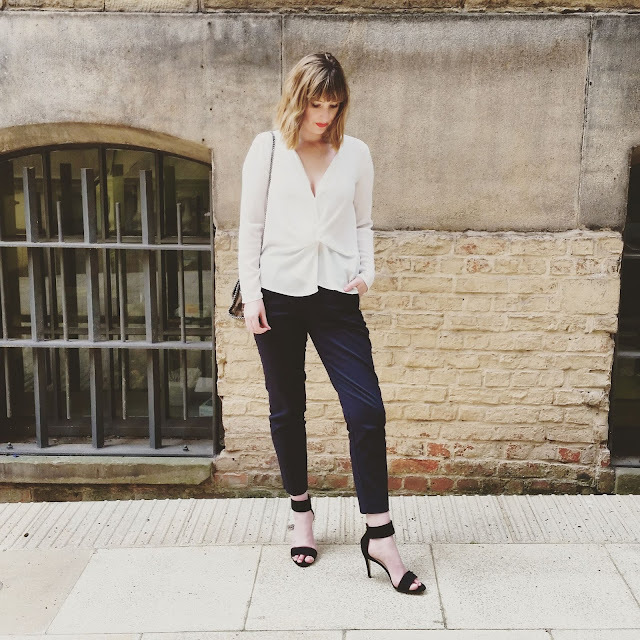 The day came and it was about 32c and I was hormonal and bloated, so ended up in my stretchy Zara pants and a blouse that covered my tummy - oh the joys of being a woman!). I digress. We turned up at the museum and were shown to the 'VIP' area (ha, the only time I promise) and shown into a room with a beautiful collection of clothes were on display. I immediately spotted Alex and was just in awe. Effortlessly elegant and stylish, she just had an amazing presence, a true inspiration! Mus was very uncool and tried to get a picture of her, as I obvs wasn't going to ask her for one! I also saw the lovely Samio and L'oreal, and just as they appeared, we were introduced to Alex and the curator of Vogue 100; Robin Muir as well as Fiona Corridan who is the curator at the gallery. There were only around 15 of us, Samio and I being the only bloggers - we felt incredibly lucky! 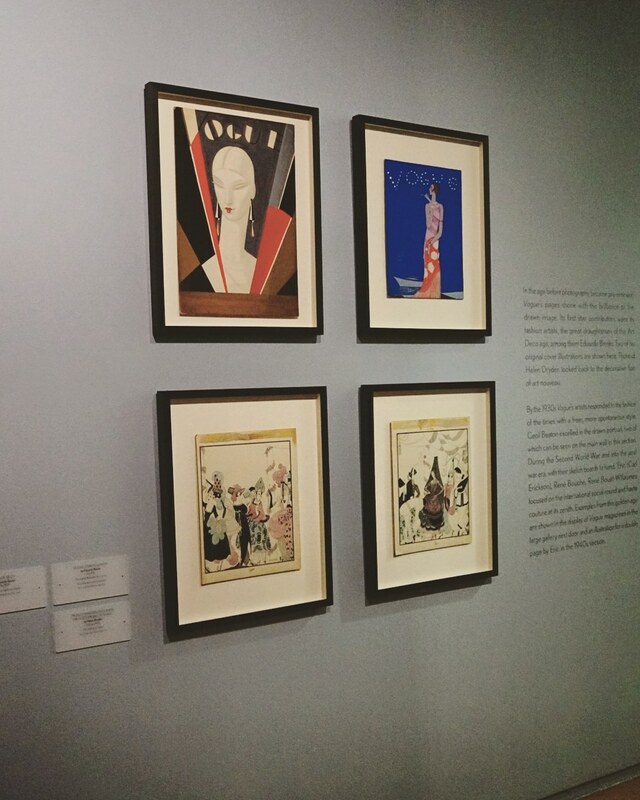 We were then given a private tour of the exhibition, which was just an amazing insight. I literally couldn't believe it. It was honestly one of the best experiences of my life. 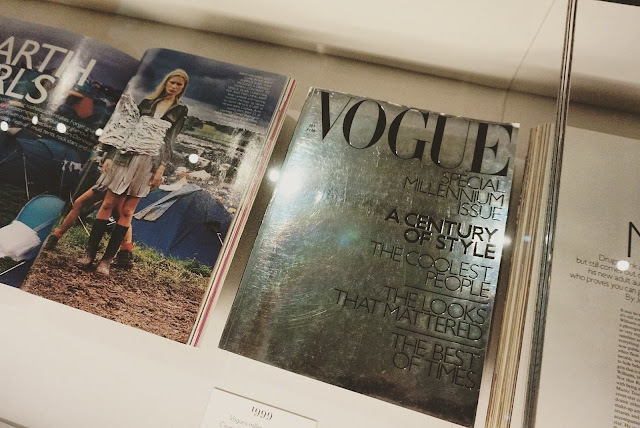 I've been a Vogue reader/collector since I was 12, and to be there with the Editor and curator (also a contributing Vogue Editor) was just incredible. I genuinely loved the exhibition, and although not as big as the London one, it definitely showcased the amazing publication that has been with us for 100 years. Robyn told us why he had chosen each piece and what had inspired certain covers and issues. It was fascinating and I had to keep pinching myself! After the private tour we went downstairs to where other guests had arrived and enjoyed some drinks, before some gorgeous food in the museum's cafe. I was then a total fan girl and bought Roybn's book on the exhibition and got him to sign it for me - which he did and was SO lovely. He even wrote "To Lauren - You're so Vogue!" I DIED. Mus enjoyed it to, and loved hearing about how the first fashion photographers started their work and how the wars impacted the magazine. 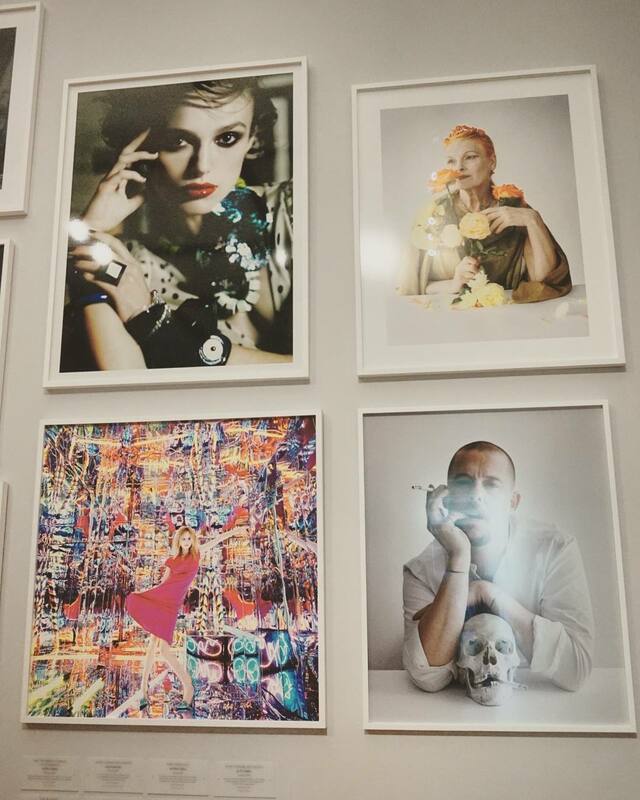 The best thing about Vogue 100 is that it's our beautiful city, in our beautiful gallery and it's FREE for everyone! Unlike in London, where it was rather pricey, anyone can go and enjoy and celebrate 100 years of one of the most incredible and world changing (literally) magazines! I definitely recommend it, and would love to hear if you've been! Apologies for what seems like an age since I've last written a blog post. In reality it's been just over a week...but I feel I owe you a big outfit run down. So this wasn't going to be about any brand in particular, but it turned into a bit of a Missy Empire feature, so thought I may as well give it the title it deserved! Missy Empire contacted me a few weeks ago, and I was pleasantly surprised when I clicked on their link. 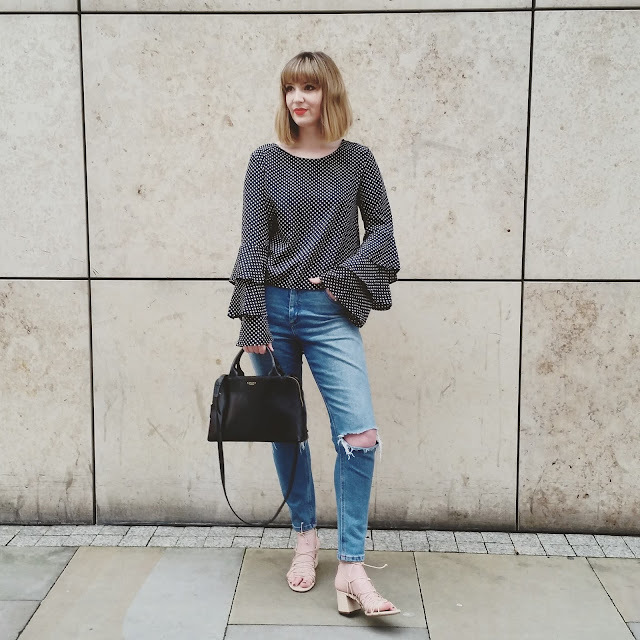 Although proudly Manchester based, they are much more my 'cup of tea' and have some amazing, very-on-trend pieces for absolute bargain prices! I start with this polka dot blouse of dreams. It really was love at first sight when I saw the sleeves. Yes, frills and massive frills at that. 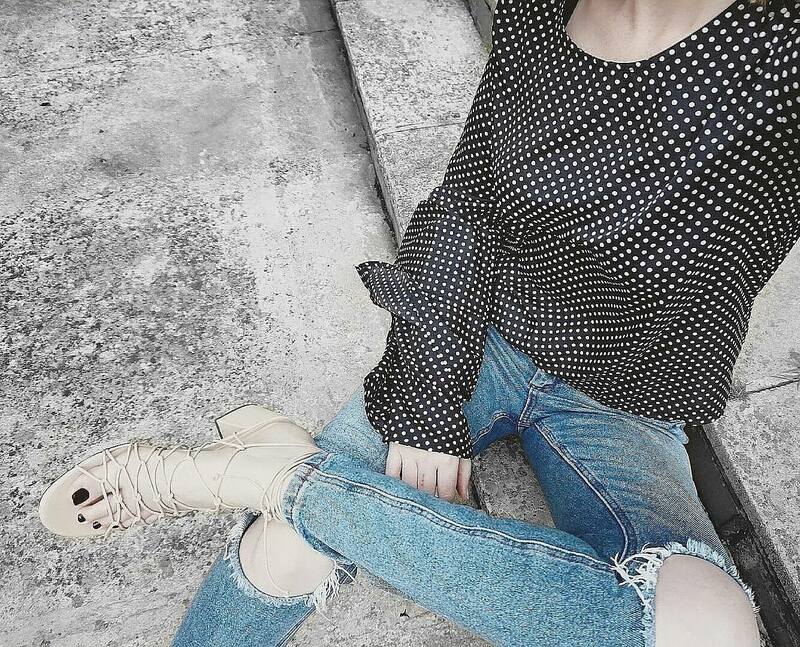 If you follow me on IG then you'll know about 99% of my recent purchases have been frills. 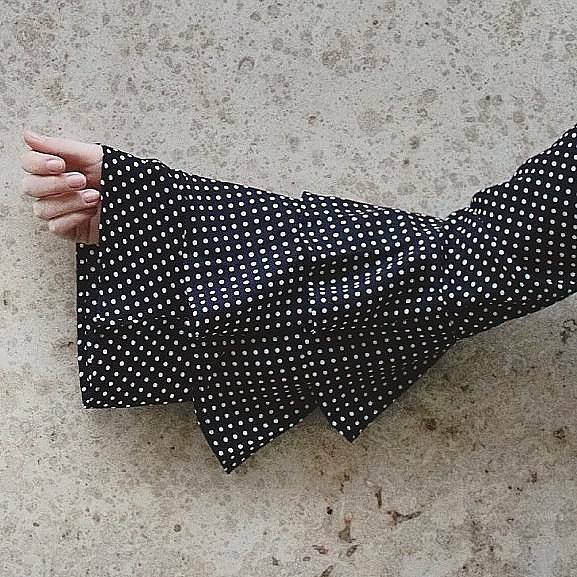 Big statement sleeves are right up my street, something that makes an impact but stays classy. I wore it to the opening of the new &other stories store and I cannot count how many people asked where it was from! Plus it was £16 - I mean come on guys! I was truly enthuiscatic when ordering each piece. I genuinely would have bought the clothes, if I hadn't so kindly been gifted them. This is why last week turned into a Miss Empire outfit medley. 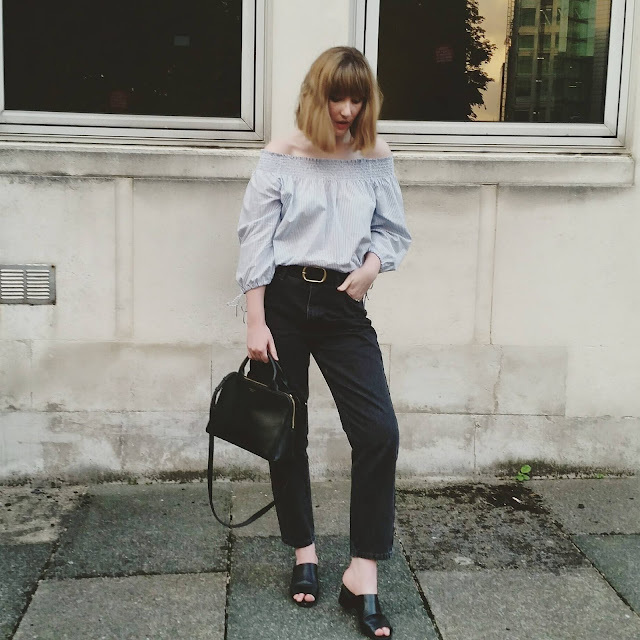 I bring you next on to perhaps my fave pair of mom jeans that I own. I sized up and got a 12 as I really hate tight pants...I didn't have to, as they were slightly too big, but this just added to the 'mom' action. They are fab quality and great sizing, what more could you want. Again, I wore to a blogger event and at least 5 girls asked me where they were from. I never get that about jeans, so it says a lot about them! Finally I got this beaut mac and some ahhhmazing flatforms, which I haven't worn yet due to the fantastic Manchester summer...but I'll get a pic on IG asap. The mac is the perfect length, it feels on trend, not frumpy and is perfect for summer when it gets a bit too chilly for a t-shirt. I've worn it 3/4 times in the past 2 weeks, and know it will be a great staple over the coming months. So yes; I didn't intend to do a post about Missy Empire, but their pieces are just so good, I just had to mention them!